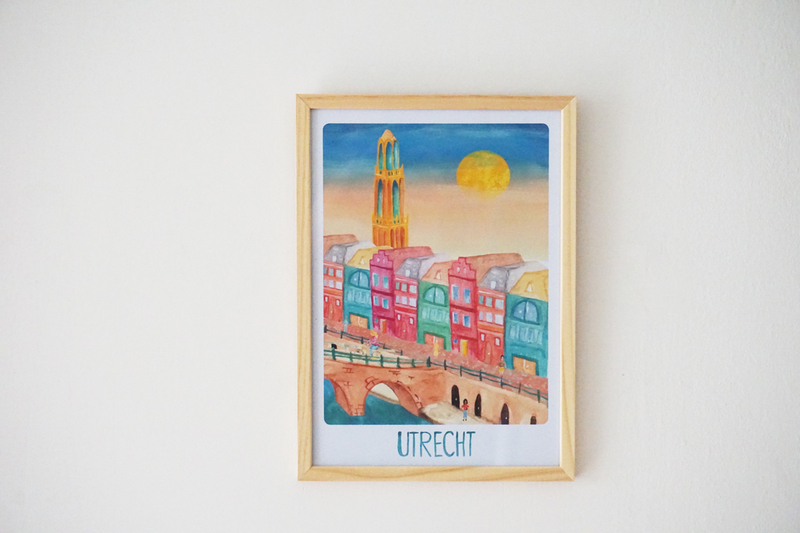 Do you want a nice souvenir of the city of Utrecht? 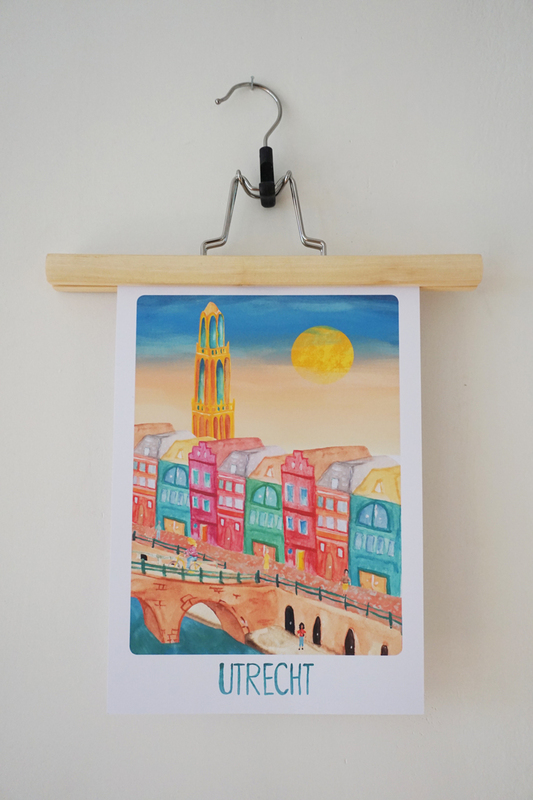 Colorful print / poster of Utrecht with the Dom Tower, canal houses, wharf cellars and bicycle. Perfect for a bedroom or living room or as a gift to your partner, yourself or friends. Dare to give color to your environment! (illustration, city, wall decoration, Netherlands). You can buy the print here. The illustration has been drawn by me and then processed digitally. I mainly use watercolor, pen and pencil. 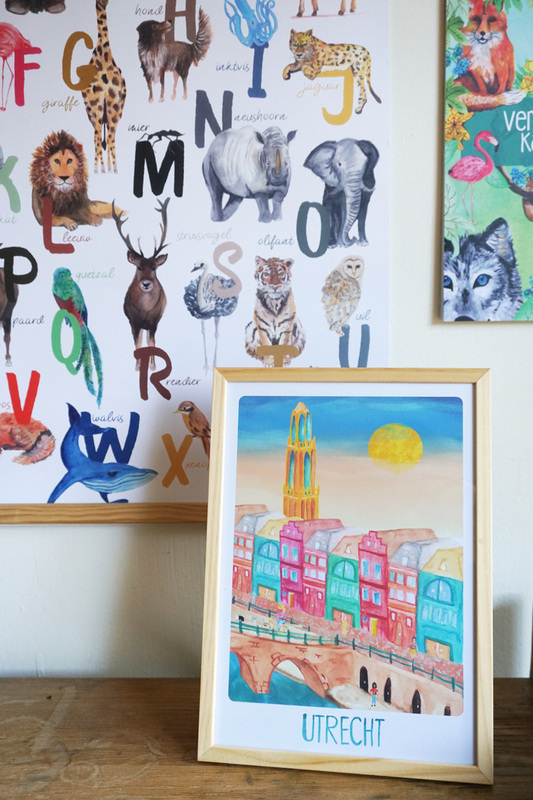 The print is printed on professional paper, 160 grams. 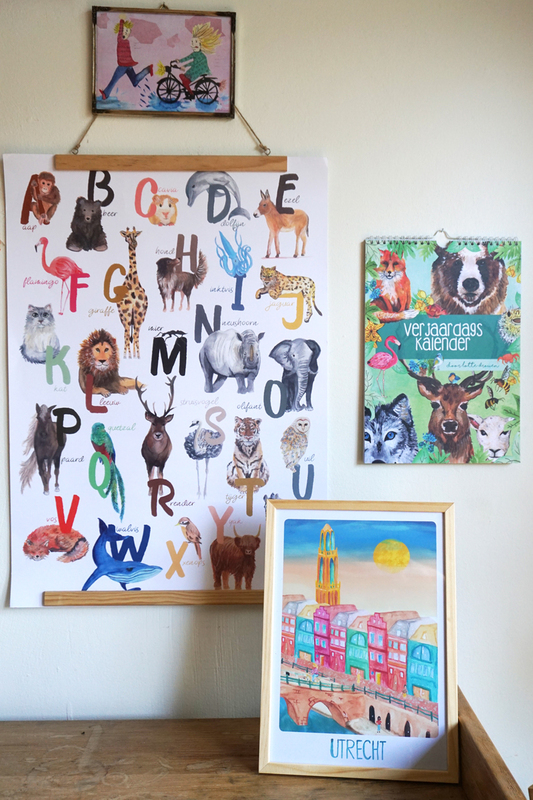 A3 format – (29.7 x 42 cm) designed to fit in IKEA or other frames or of course just to hang on the wall.